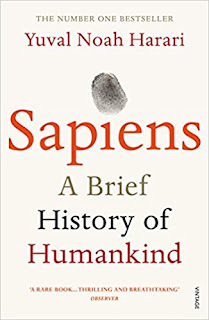 I came across the book Sapiens when I read a column by its author Yuval Noah Harari in the online version of some magazine. I forget which magazine it was and also what the column was about. 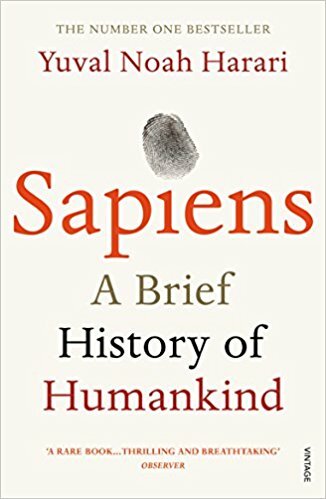 The column intrigued me and in the footnote it was mentioned that Harari was the author of the best selling book, Sapiens. I immediately logged onto Amazon and bought a kindle version of the book. All the material in the book is purportedly based on discoveries of various fossils made across the world and theories that explain these discoveries. Harari's theory of how religions evolved makes for some very compelling reading. It makes you think and question your own beliefs. Is whatever I've been believing in so far nothing but a story of someone's fancy imagination? What is the evidence behind this? The problem however is not as simple as discarding whatever you've been believing in so far. Science's biggest strength and weakness at the same time is its ever-changing nature. Science has no problem in discarding yesterday's universally-accepted theory in favour of a new theory if facts support the new theory better. Religion, on the other hand, has at its very core a set of unchanging dogmas. Whatever the facts may lead you to believe, religion prefers declaring you a heretic rather than change its core beliefs. If someone were to discard all his religious beliefs in favour of science, would this decision hold him in good stead forever? What if the ever-changing nature of science cause it to discard some of the basic contradictions it has to religion at some point in the future? These are some of the many questions that flooded my mind as I read this book. At the end of the day, this decision is up to each of us. This book is one I would recommend to everyone. It is important for each of us to debate the contents in our mind. It is good for us to ask these questions. Sometimes, the answers might not be fully evident. It does not matter. It is good if this forces us to think and not rest our minds in the status quo. For a quick summary of the book, click here. However, I really recommend that you read the whole book. Some of the religious beliefs might be scientific and may not contradict with science. So if the beliefs are hurting any individual, society or ecosystem we should discard them.